I'm on vacation for a few more days. I'll update when I get back. I'm a little late getting on the preserving bandwagon. 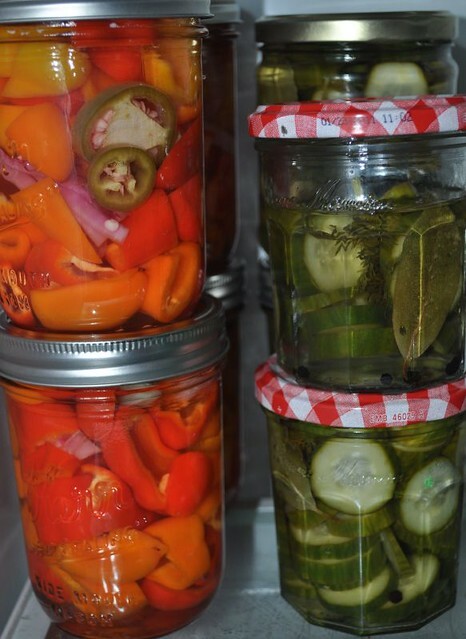 It seems everyone I know virtually or in real life has been pickling and canning and generally preserving a bounty of delicious foods. I'm still a little scared of the whole canning process (heat plus glass plus botulism = scary to me) but I saw people talking about quick pickles and finally decided to try it. 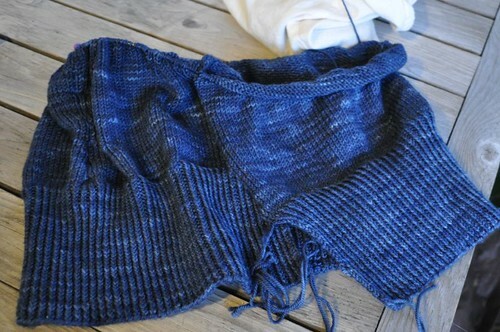 I blogged a little about our first attempt here. I found using a 50/50 white vinegar/water combo for the brine had more kick than I wanted. Sunday night we took a bag of pickling cukes, sliced them and put them in jars with fresh dill, peppercorns and a bay leaf, made some brine (just took a wild guess at the salt), poured the hot brine over the mixture, let it cool and refrigerated. I cracked one open this morning and they are delicious! Bright, crunchy, flavorful. Love them. We also grabbed a bag of small sweet peppers and did roughly the same thing. We added red onion, garlic and a little jalapeno to each jar. I don't know how they taste yet but they sure are pretty. 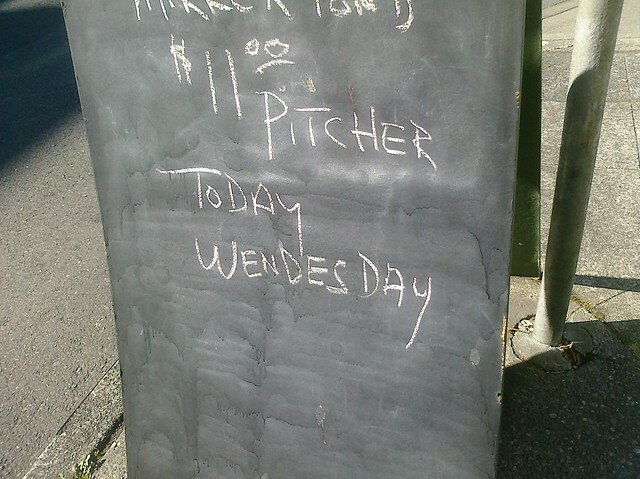 I'd list all the things wrong with this but my head just exploded. 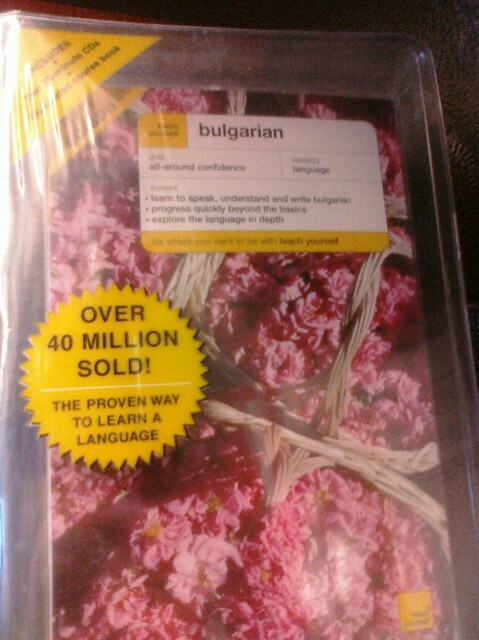 Over 40 millionn people bought these CDs to learn Bulgarian? I think I'd like to see that data. I keep blogging things. But only in my mind. So here's just a list of a bunch of stuff I've been wanting to share. The pickles from last week came out really great. 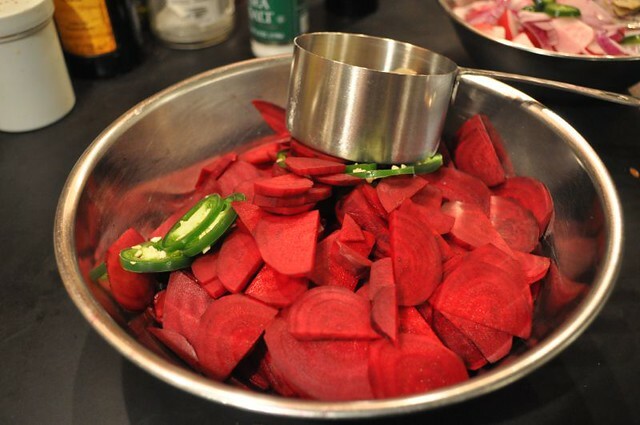 We pickled thinly sliced raw beets based on this recipe. We used a jalapeno instead of Thai chiles. They are sweet and really crispy. We've been enjoying them (probably too much) with feta and crackers. Goat cheese would be great too but we had the feta already. The radishes were done based on this recipe. 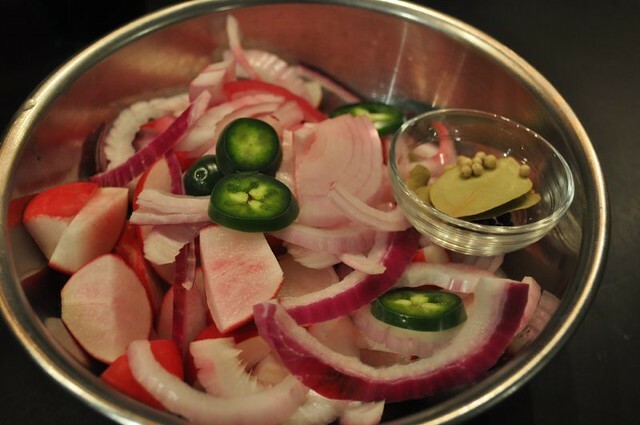 We put radishes, red onion, jalapeno and garlic in together. The white vinegar/water brine has a really potent, nose stinging kick. Not bad but strong. I think I'd like a wine vinegar or cider vinegar next time. We're not eating the garlic because it's still a big chunk of raw garlic but the onions and chiles mellowed a lot. Angry Birds is super-addictive. Like really, really addictive. Wes and I were up until nearly 2:30 last playing. Neither of us are terribly proud of this. We went to see Scott Pilgrim vs. the World on Friday. We all loved it. If you like rock, comic books, Michael Cera, and/or video games this is a really fun time at the movies. We liked it so much that we bought the entire set of the books and got the soundtrack. We also went to see Toy Story 3 again. We did it mainly to get out of the heat but, damn, what a great film. I wept uncontrollably for the last 15 minutes again. We hid out at the mall today so I played dress up tried on clothes. I found the perfect Joan Holloway dress. 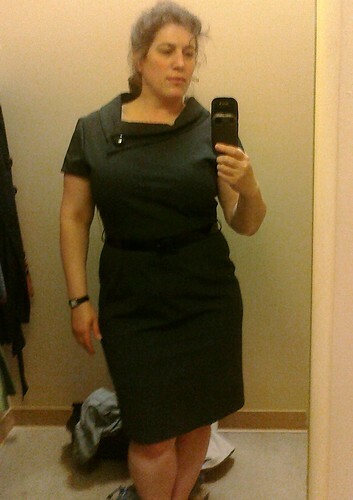 Sadly I have nowhere I could ever wear this dress unless I suddenly start working at a law firm or go back in time. It's so hard to find a dress with sleeves that's flattering to a full figure. 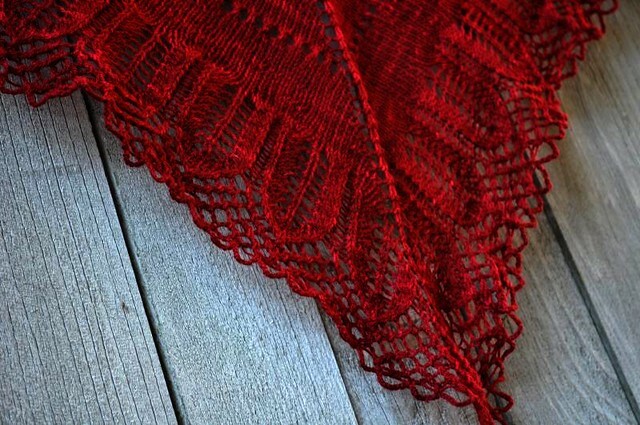 My kingdom for a shirt that doesn't have jewels, beads or twelve pounds of ruffles on it! The pickings are so slim right now. 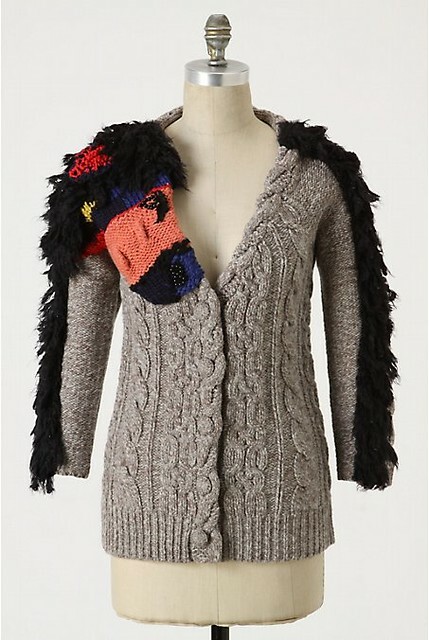 At least the colors this season are more reasonable. 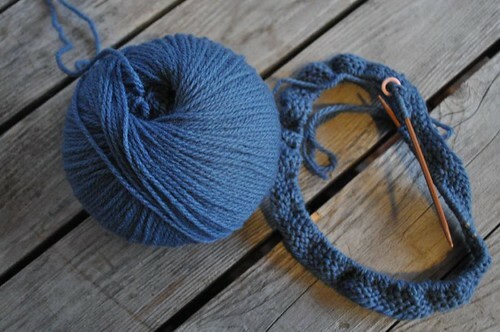 Lots of soft grays and medium blues and none of that coral and screaming teal from last summer. I went into Banana Republic today and it looks like the entire shop was designed by Leanne from season 5 of Project Runway. All of this reminded me of here work in terms of the color palette and the soft ruffles. 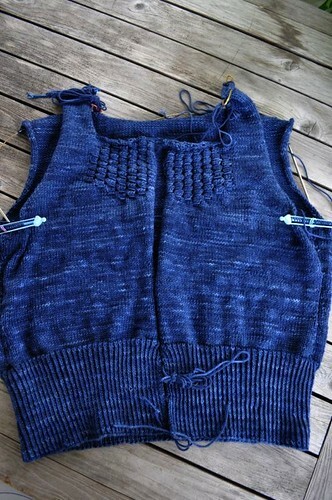 I think I might try adding some ruffles or rosettes or something to some of my shirts that I've gotten stains on. Better than throwing them out, right? I was standing in front of George when a piece of cereal fell out of my bowl and landed on the floor just inches from him. He stared off into space. I tapped my foot on the floor next to the piece of cereal as that is the international human to dog signal that there is something yummy to be eaten that the human is unwilling to bend over and pick up. He stared off into space. Isabella, who had been asleep on the second floor of the house, heard the tapping, woke up, came downstairs and ate the piece of cereal while George still just stood there. What a dummy. 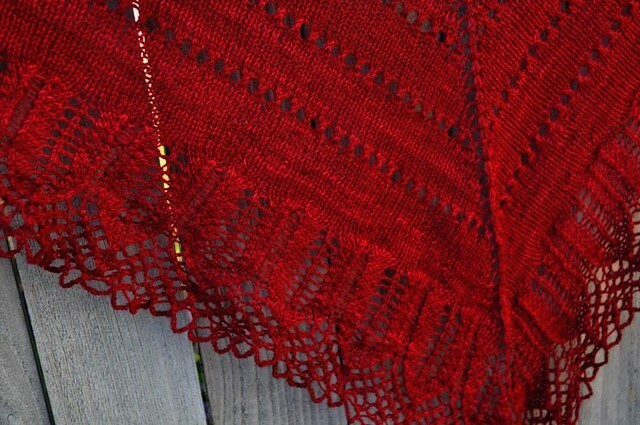 Notes: I knit this exactly as written except used SSK instead of SKP. I love the size of it. 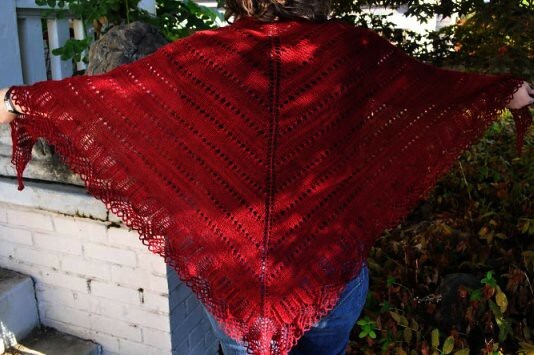 I know small shawls are all the rage but there's something to be said for a big shawl you can wrap yourself in. 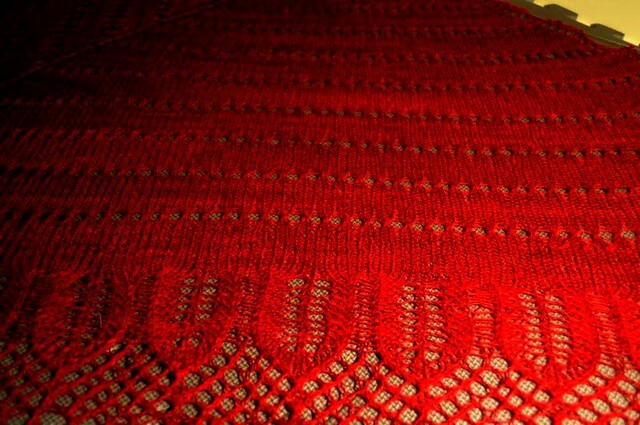 After blocking the yarn has wonderful drape.